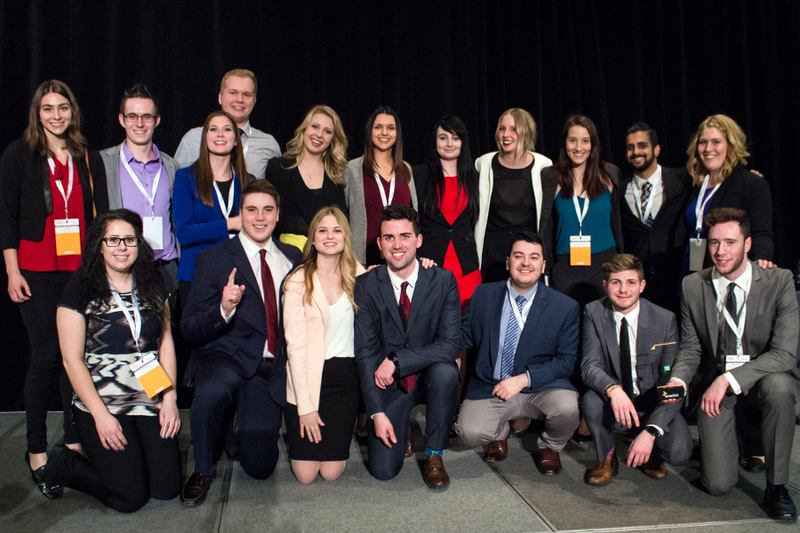 The U of S Enactus teams strikes gold again (photo via Enactus Canada). For the second year in a row, a team of young entrepreneurial students was named the 2015 TD Entrepreneurship Challenge Regional Champion by Enactus Canada. The U of S team took home the championship title at the March 7 competition in Calgary. Their project, the Aboriginal Youth Idea Challenge (AYIC), is a workshop series and business plan competition that created three new businesses and exposed 31 people to entrepreneurship as a viable career path. Through AYIC, start-up and expansion capital has been provided to Aboriginal youth ages 16–35 across the province. The U of S team will now move on to the national competition in Toronto May 2-4. Exactus is a team of student, academic and business leaders from across the province who are using entrepreneurial action to create a better and more sustainable Saskatchewan. Guided by faculty advisors and business leaders, the members of Enactus University of Saskatchewan create and implement unique projects to make a positive impact across the province. See more at Enactus Canada.